Cholula was founded round 500 BC, by indians of different etnical groups. 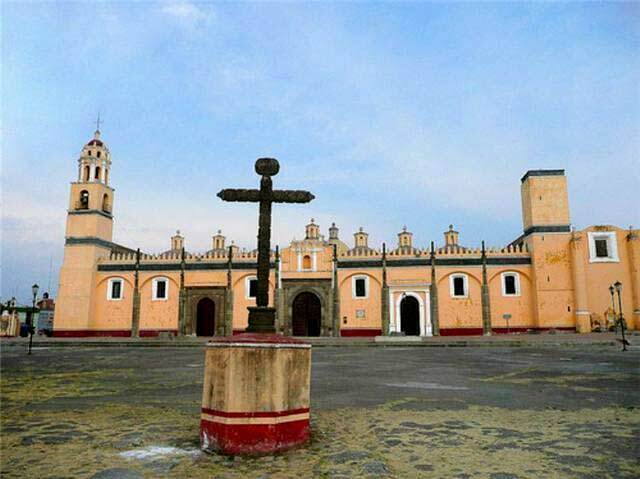 In the more than two thousand years between its foundation and the Spanish colonisation, Cholula was a important center in the religious and ceremonial cultus. Every ethnic group that gained political power added its own architectural techniques and its handicrafts to the settlement. At the beginning of the sixteenth century AD, Hernando Cortez wrote to the King of Spain that Cholula had over 400 ceremonial towers, and a gigantic piramid wich formed the ceremonial centre of the Quetzaltcoatl cultus! In the period that immediately followed the Spanish conquest, these towers were all replaced by catholic chapels and churches. They even built a church on top of the great pyramid! 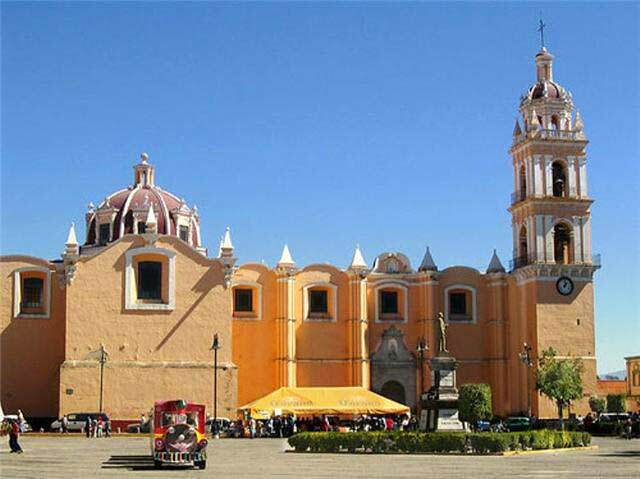 In 1535 Cholula officially became, on the authority of prince Felipe of Spain, a town. The community of Cholula was then divided in two halves: for the part east of the great pyramid with San Pedro as patron saint. 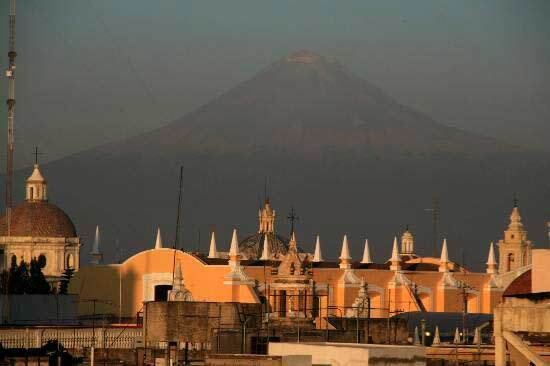 Ten kilometres east of Cholula , Spanish colonizers founded another settlement that later became Puebla , a splendid colonial town that now is many times larger than Cholula. Part from the great pyramid � which is, by it's volume the largest in the world � Cholula has many more treasures to show. Around the central park you'll find cosy portales and colonadas with pleasant restaurants and bars. There are museums, the cloister of the Fransiscan Order and yes� more than a hundred colourful churches.